Rite Aid + Revlon's Your Story, Your Shade "Diamond Dee" & "Pretty In Strength" - Swatches, Review & Giveaway! Hi loves! I recently received some amazing news I wanted to share right away. Rite Aid will be involved in the 2014 EIF Revlon Run/Walk in the New York (May 3rd) and Los Angeles (May 10th) events. As part of their support of EIF's mission to raise funds to fight women's cancers, Rite Aid recently worked with Revlon to develop the Rite Aid & Revlon's Your Story - Your Shade Contest where customers were encouraged to honor someone affected by women's cancer by entering their story and naming a shade on the Rite Aid's FB page. Two winners were selected and their winning shades are now being sold exclusively at Rite Aid until the end of May. "In 2003, my Mom was diagnosed with cancer and I was 29 at the time. By the time they discovered it, the cancer had spread. I was with her every moment; she had overcome so much in her life! In the end she was full of love, always giving to those in need! Even today, I still use her saying, "If I have two and you have none, then you'll have hen one and I'll have one!" My mom's nickname when I was like girl was Diamond Dee! I miss her so and every day I strive to be even half the mother she was! She will always be my Diamond Dee." Diamond Dee is a pearlescent pink. Formula was nice and smooth but a bit sheer. About 3-4 coats will bring it up to full opacity. I really loved the darker pink pearlescent shimmer that camera naturally couldn't pick up (my camera and I totally got into a fight over this). Pretty In Strength is a fun hot pink. Formula was like working with butter - smooth, easy to apply and dare I say - a one coater! This color is so fun and bright. I expect to see this on a lot of nails come summer! This does dry slightly more red than the color in the bottle so keep that in mind. I've already used the Revlon Quick Dry Top Coat before. It does dry in about a minute to two minutes but honestly, it's no HK Girl. This is a great drugstore alternative though that really does dry fast. The Quick Dry Base Coat is fab. It goes on slightly milky and dries pretty fast as well. I haven't noticed any staining when I've used this as a base. Speaking of staining, I wish I used that base coat over the weekend! My nails are currently stained a lovely shade of blue so unfortunately, I swatched on fake nails. I absolutely hate doing this but I wanted to show y'all the true colors rather than the color + a blue tint! for one of my readers to win! To enter to win simply leave a comment letting me know who your hero is! April 29, 2014 I'll pick a winner! *These were sent with me to review from Revlon/Rite Aid. 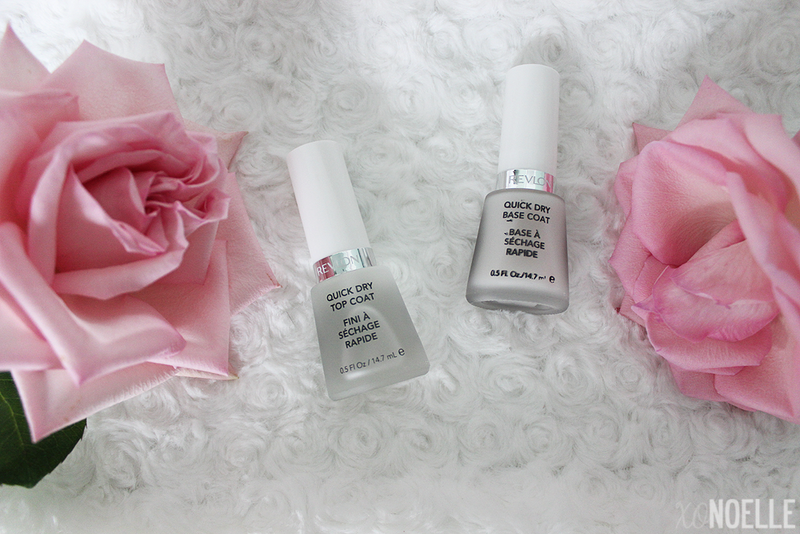 Winner of the giveaway will receive brand new polishes! My mom is my hero. Not only did she raise me and my sisters, she's also raising 3 grandchildren. All while working full time. I wouldn't say she's my hero but I do have a lot of admiration for Angelina Jolie. There pretty shades! My hero is my mom. Hello! My hero is my son. He's 26 years old & just so cool & well put together. lol I'm proud of him. I love these pretty shades too. 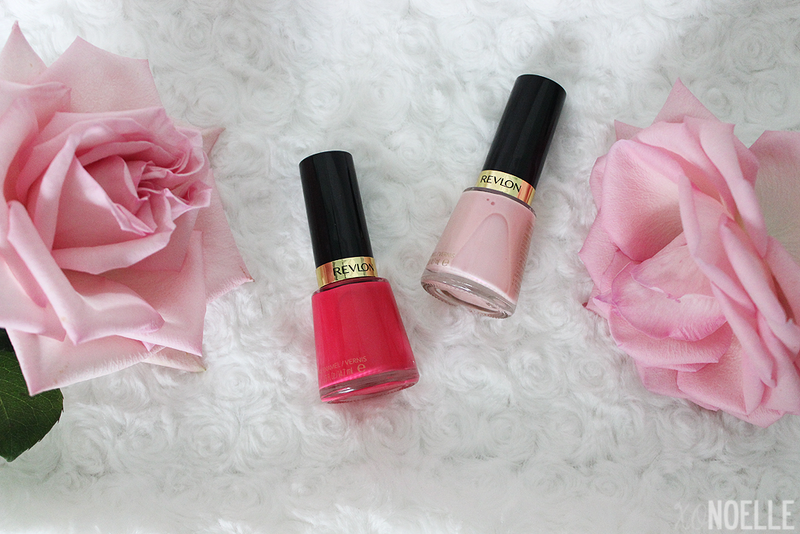 Revlon is one of my favorite brands. My email is natorama99@yahoo.com Thanks! My daughter is my hero!! She has become a amazing women,wife, and mother. They are beautiful colours. I love the girly pink. These are beautiful shades. I am loving that baby pink. Perfect Spring color. Diamond Dee! I love the color and the story. What a lovely tribute. Beautiful shades for a great cause! How beautiful! And they look fantastic layered! 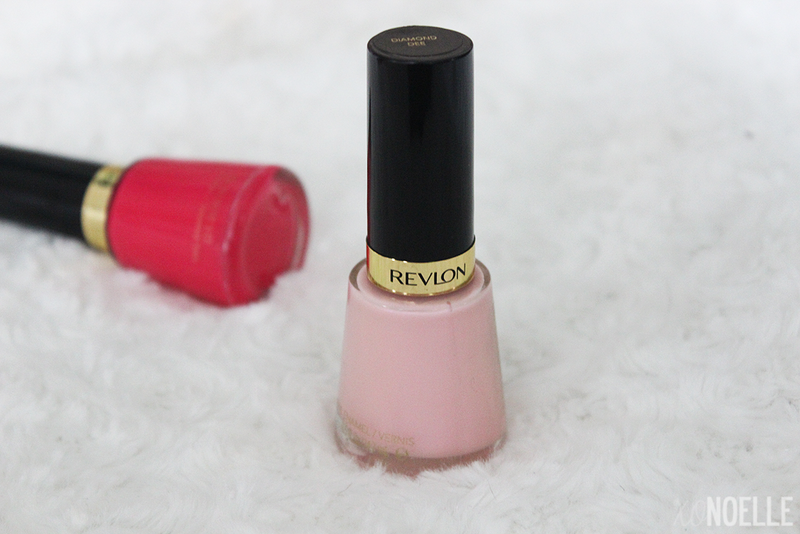 Revlon makes my favorite drugstore nail polishes. They always go on so creamy and smoothly. I'll have to pick these up! those roses are ridiculously gorgeous! :D Love the shades! Lovely colors!! My hero is my HS English teacher. Shes 90 and stil teaching! I like the shade you layered. My good friend died of breast cancer and she left behind a husband and three children--13, 11 & 8. It was so sad I'm tearing up just thinking about it. Oh, I wish we had Rite Aid here in FL. I really love them layered together - great idea to do so. Diamond D is gorgeous. :) I have many heroes in my life... but mine is my husband first and foremost. With a terrible and crippling back injury - he still continues to work a very dangerous job to provide for us so that I can stay home with the kids, run the household and take part in my blog. I'm a lucky woman... God has blessed me. I've had ovarian cancer that took me over a year and a half of extremely ROUGH chemo to conquer. The docs kept telling me that my chances of making it past years were almost nothing. However, the WHOLE time, my husband was my biggest cheerleader, my caregiver, he took care of the house & the kids...while continuing to work! He managed to go to work at our local hospital and take care of other patients! During my first 6 rounds of chemo, they were inpatient at a hospital that is an hour away from our home. He visited me as regularly as he could AND he made sure that I saw my children, then 5 yrs. old and 2.5 yrs old! They were also instrumental in helping to keep my spirits up!!!! He is my hero and he refused to let me give up! Without him, I don't think I would still be here today, 11 years later when the docs gave me LESS than 2 years to live! Thank you for having this contest! Donna, you're my winner! Please e-mail me at xonoelleblog@gmail.com to claim your prize! :) Congrats! I like both shades. My heroes are my grandparents because they took the role of my mother and father, both of which decided to start their new lives away from their children (me and my sis). But no more sad stories, I just wish that my grandma and grandpa are still alive so I can take care of them now that I'm older! Mom is my one and only hero in my life. I wish from the bottom of the heart to be her daughter in any other lives. Both shades are really beautiful, and the stories behind them even more so! Thanks for sharing!! So gorgeous, love those colors! So pretty, they make me think of Valentine's Day! Touching stories. I lost an aunt to cancer and I am an avid cancer research advocate. Great post and I loved the Diamond Dee! love Revlon Quicky Dry Top Coat and Pretty In Strength! My hero is my mom because she has proven that she can always be there for us no matter how tough times are. My daughter is my hero. She is the mother of two children and a damage control tech for the US Navy. My hero is Laverne Cox, because she's an amazing woman who hasn't let the difficulties she's faced stop her. My hero is Buffy The Vampire Slayer!! ahahah I love her since I was 12! M mother is still my hero! My sister is my hero, she's pretty much Wonder Woman. These are such pretty colors! I'll have to see if I can find them! My Son is my Hero ,sent i gave birth to him he has changes my life and made me a better person ! Love The Color's they are so beautiful !! !